While the PM did not take any names, his attack was directed towards Congress President Rahul Gandhi who had visited RJD leader Lalu Prasad Yadav at the All India Institute of Medical Sciences where he is undergoing treatment for various ailments. Yadav has been sentenced in the fodder scam case and is currently serving his sentence. But Thursday morning, historian Irfan Habib refuted the claim on Twitter and said, ‘Nehru had not only met them in prison but also wrote about them’. 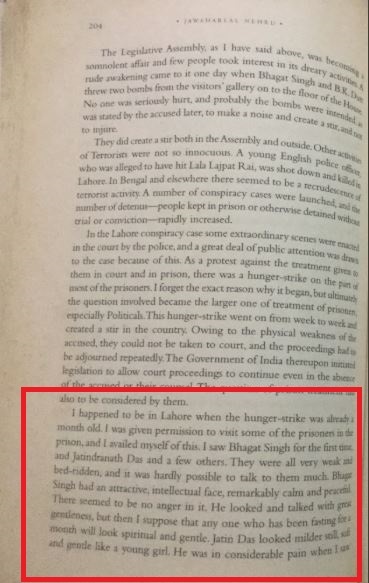 Other journalists also presented excerpts from Jawaharlal Nehru’s autobiography where he narrated his visit to the Lahore Jail to meet Bhagat Singh and his fellow prisoners. 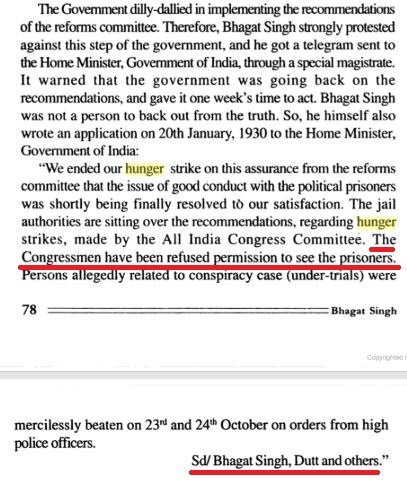 Bhagat Singh and others had gone on a hunger strike seeking better living conditions for all undertrials and political prisoners. 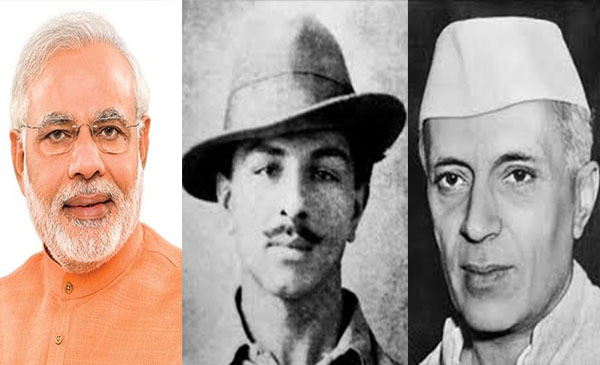 Nehru mentioned that he met Bhagat Singh for the first time and he also met Jatindranath Das and a few others. This is not the first time Narendra Modi has attracted controversy by referring to history in a bid to corner the Congress during the Karnataka election campaign. Last week speaking in Gulbarga, Modi claimed that “In 1948 after defeating Pakistan, General Thimayya was insulted by PM Nehru and Defence Minister Krishna Menon”. 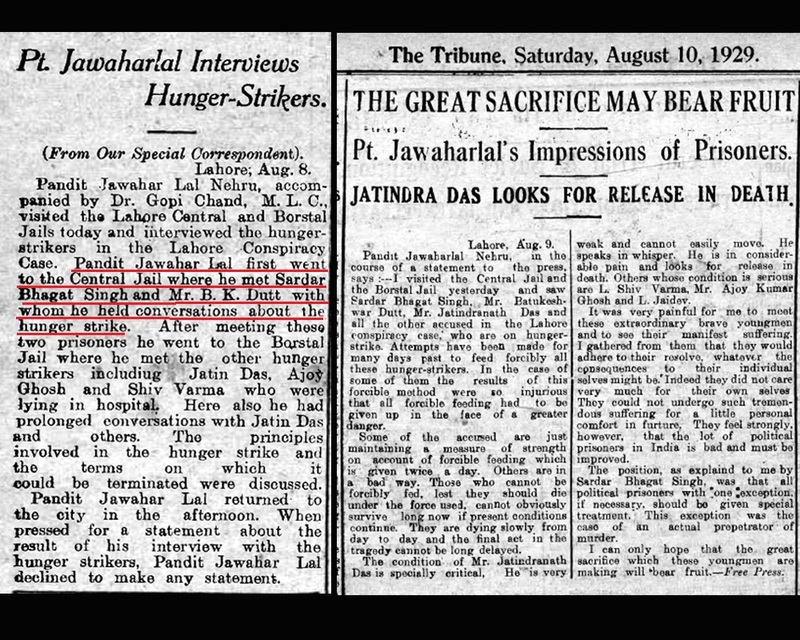 While different accounts (Read here and here) of what transpired between Nehru and the Generals have now been discussed in several articles, it is clear that the Prime Minister’s speechwriters should have done a better job at checking facts before stating that no Congress leader went to meet the freedom fighters when they were in jail.